Playing a tanda by the great Osvaldo Pugliese can be a suprisingly difficult task. 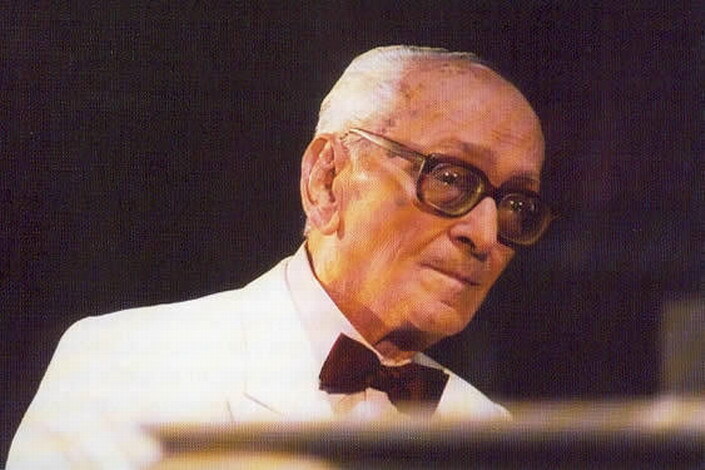 There are such different expectations about what songs you should play especially since there's usually only one Pugliese tanda per a milonga. First of all I personally like to make sure that the songs are relatively easy to dance to for Pugliese. I mean an easier Pugliese tanda will still give enough challenge for everybody in my honest opinion. Second, I like to play my Pugliese tanda earlier than within the last 3-4 tandas so I don't have to pack so much punch into it and a little bit less drama will do. Third, I like to have a bit of variety within the tanda... usually more than in this tanda of the week. Meaning maybe mixing instrumental and vocal songs or use some variety in the time periods. This tanda however is fairly traditional and sort of a play-it-safe tanda (which is a good approach to any style you're are not super comfortable with personally). To exaggerate a little "Recuerdo" is definitely one of these songs that nobody plays because everybody plays it so nobody plays it. Well atleast I hardly ever hear it played but like I say classics are classics for a good reason so I will gladly have it in my repertoire. Second song is "Derecho viejo", a great version of the classic. As the tanda is really about easy to recognise songs and melodies, the third song is where we take a side trail. I have the song "Malandraca" tagged with "great after a weak beginning" and this is true. But once you get past the first 15 seconds it's all good and after the first minute I think the song is just pure gold and has a very strong rhythm that might work well in a "La yumba" tanda as well. And the fourth song "De floreo" starts off nicely from where the previous song finished bringing the tanda to a comfortable but dramatic ending.